Remember in the 90s when time capsules were a hot topic? When the Millennium was approaching and people would discuss what they'd like to preserve from that time, to be rediscovered by future humans? This might be a valid explanation for Lixiviate's existence. Though it doesn't explain how a Japanese band managed to so accurately emulate Britpop and British shoegaze. 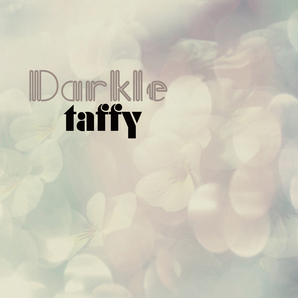 Taffy are comprised of four stalwarts of the Tokyo gigging scene, fronted by Iris on vocals and guitar. Even their promo shots look like they could have been torn from a page of Melody Maker circa 1995. Lixiviate, in case you were wondering, means to separate a substance into soluble and insoluble constituents by the percolation of liquid. 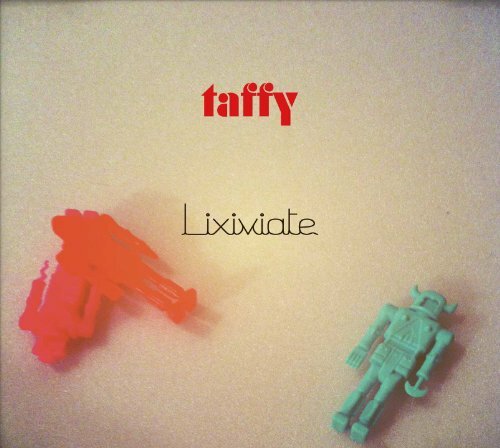 It may have been plucked from a dictionary, or it could be that Taffy have a better vocabulary range than most native English speakers. They can certainly imitate their chosen era of British music better than many British bands themselves could. The album kicks off with the driving bassline and distorted guitar of 'Sweet Violet'. This is followed by first single 'Tumbling' - a great slice of bubblegum indie-pop. It is joined on the double a-side by a shoegaze cover of 'Boys Don't Cry' by The Cure, which also features here. It's long and fluid and very pretty, barely recognisable from the original. 'Snowberry' is a highlight, with upbeat sunny riffs and a catchy Britpop chorus. Iris' vocals fall somewhere between Sonya of Echobelly's sassy Brit swagger and Satomi from Deerhoof's cutesy, eccentric high-pitched style. 'Maple' is another example of the band's more energetic, poppy side. 'Stewert and a Yellow Bicycle' chugs along with a pleasant, almost nursery rhyme guitar-line and vocal melody before evolving into distorted dream-pop. It should probably be listened to on a sunny Sunday afternoon lounging around on a soft white bed. 'When is Forever' is a low-key tribute to lost love. Iris sounds like a hopeless waif, calling out in sweet tones: "Coldness so bitter/ I cry, cry forever". This moment of sadness is counteracted somewhat by the following track, 'Dawn Red' with its infectious indie-pop chorus. The final track, 'No Endings But Only the Beginnings' is dreamy shoegaze in the vein of Slowdive, Chapterhouse and Cranes. Taffy obviously have an agenda, they know their sound and they don't want to stray too far from their influences. But despite this, the album is varied and mercurial. The indisputable nostalgia for the 90s often comes across as genuine nostalgia dating from that era, harking back to yet an earlier time in the 60s or 70s, as many 90s indie bands did. 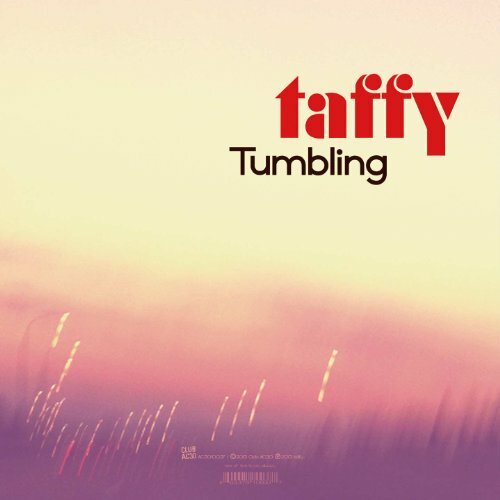 Listening to this album caused me to dig out some old Britpop classics and some of it does sound fresh again after giving it a long break, so maybe Taffy have chosen the right time to peddle their retro wares. But Lixiviate is an excellent album, and surely that's more important than any questions about the zeitgeist.